Darling retro styled newborn infant ID bracelet. You choose the name, size, & bead color. Designed by Stargazinglily. These are great for quickly identifying identical multiples. Get each one in a different color to tell them apart at a glance. Also available as an anklet upon request. IMPORTANT - This listing is for ONE bracelet. Please change the quantity desired when you add the listing to your cart. If you need more than I have "available" please just contact me, I will adjust the listing for you. Thank-you for stopping by Stargazinglily. 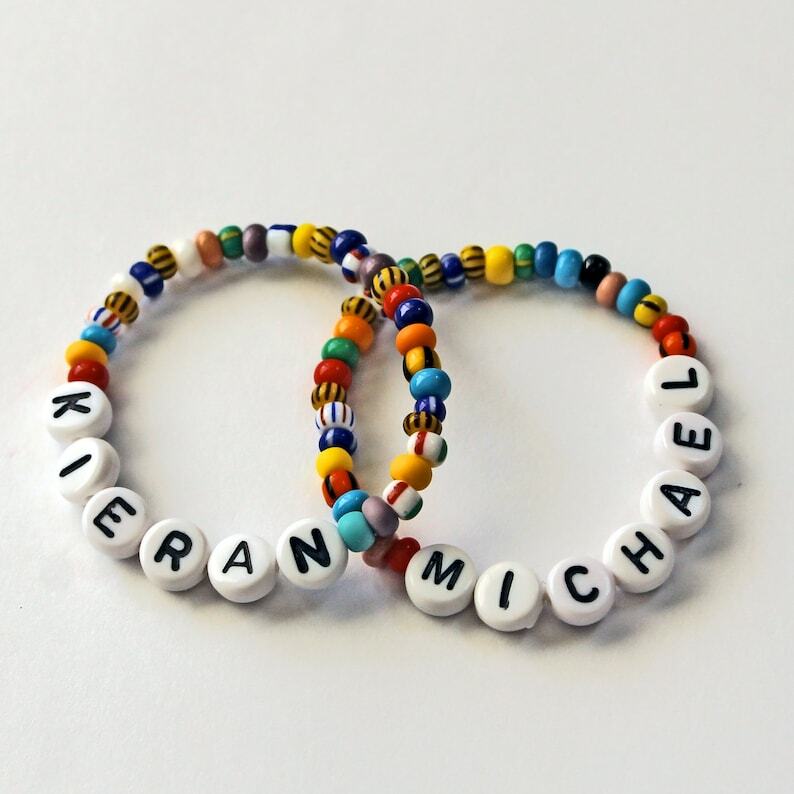 Newborn Baby ID Personalized Children's Bracelet Infant Baby or Toddler Baby Shower Hospital Gift Retro Baby ID. You CHOOSE the Color. Goddaughter Bracelet. Keepsake Bracelet in White or Ivory Pearl. Personalized Name Bracelet with Cross Charm for God daughter.